Do you own a Sound Meter? Trade it in for a Castle dBAir! Home > Press Releases > Do You Own a Sound Meter? Accepting any brand and age of Sound Meter, Castle are offering large discounts off the full price of the full dBAir range. The trade in programme will accept any old meter and use it as part payment off a new Castle dBAir Sound Meter. This means not only do you receive a large discount off the newest Sound Level Meter on the market, but you also guarantee 100% accuracy and 12 Months Calibration certified. 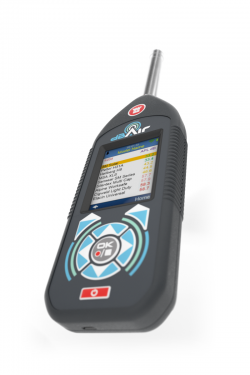 “The dBAir is proving to be a popular choice with busy professionals, who are making the most of the time saving WiFi Data Transfer which is built into all dBAir models. Adopting the dBAir’s simplicity and forward thinking Cloud Software is a smart investment, especially now with our limited time Trade In offer.